Festival Season is such a magical time for so many reasons! 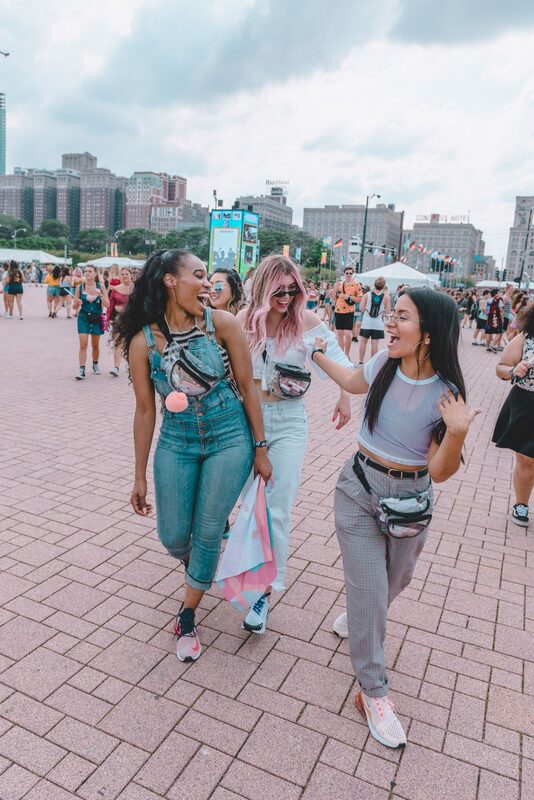 Choosing the outfits, curating the vibe, assembling a crew, and creating a schedule is all part of the fun. 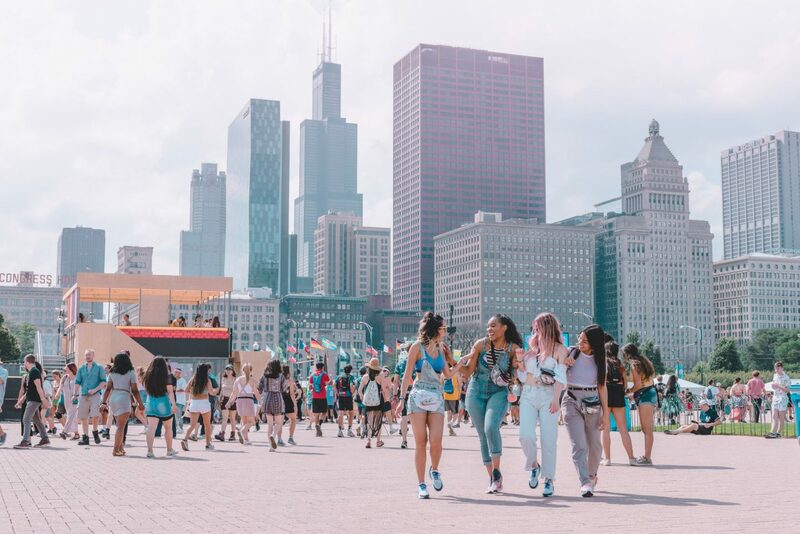 But to keep it all way real, the music festival life is a huge undertaking. 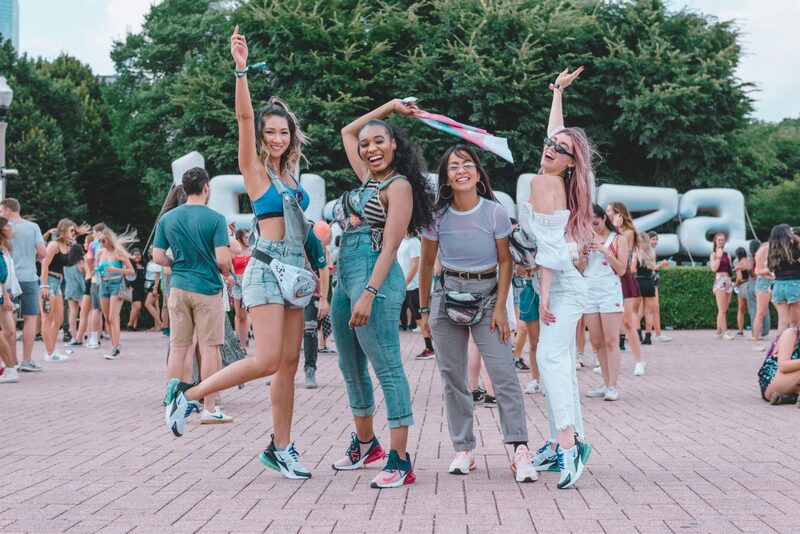 Upon committing to a music festival, you’re signing up for the lifestyle (which consists of long days, large crowds, plus a lot of time on your feet), the natural elements (since the show will always go on rain or shine), and of course the music (which is the best part, if you ask me!). You may be thinking, thank you Captain Obvious, but this is a legit need y’all. While most festivals have charging stations, I’ve found that they are insanely crowded. Plus who wants to stop their fun festival flow to charge your phone? Not I! And DON’T YOU DARE be that friend that keeps asking to borrow everyone else’s portable charger. BYOC aka Bring Your Own Charger! 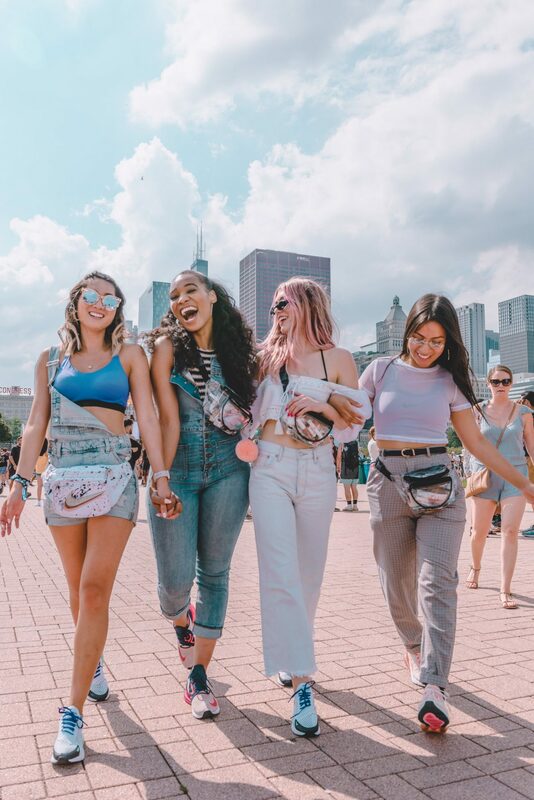 You will need your phone to stay connected with your friends, receive any real-time updates to the schedule, and to capture content that creates lasting memories your good time. If you’re not fully committed to bringing a blanket. This can serve as a “mini-blanket” when you find yourself sitting on the ground, which is sorta inevitable at some point during your festival experience. You can easily avoid sitting on grass or dirt and the risk of ruining your well thought out outfit with an all-purpose handkerchief. A stylish closed toe shoe is the best choice for a music festival. 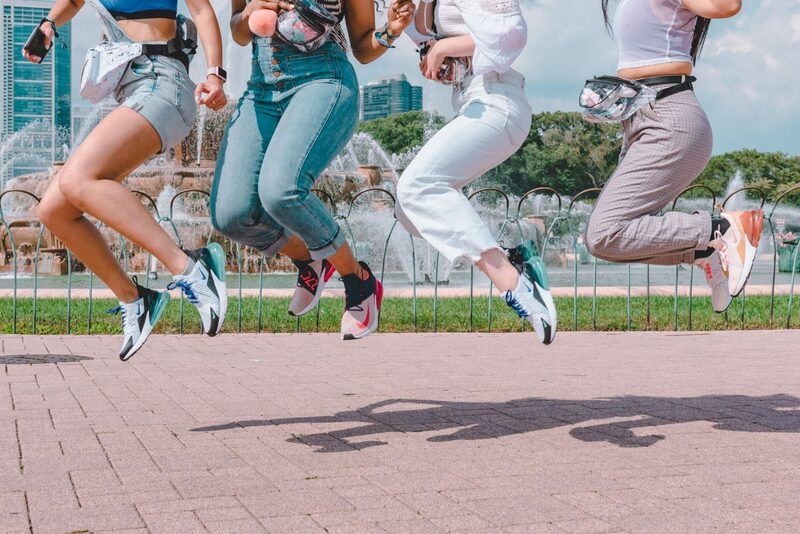 Though it’s an unfortunate reality, you will likely get stepped on (at last once) by festival-goers and you want to make sure the you protect your feet. More importantly, because you’re walking around all-day, you’ll want to make sure you have a shoe that really supports you while you’re having a good time. 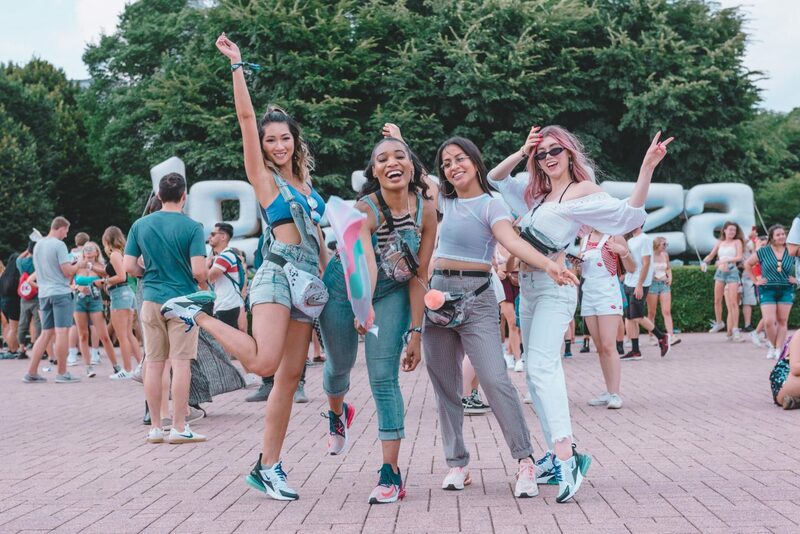 After wearing my Nike AM270’s for Day One of Lolla, I made a minor change of plans to my wardrobe and decided to wear them for the rest of the festival, because every night after when I arrived home my feet felt so good. Ultimately, you gotta do what works for you, but comfort is key! In the real-world where AC is present this may seem like a little silly device, but when you’re outside sweating bullets a mini USB fan can be a lifesaver! Think about how hard it is stay cool when you’re in the midst of a large crowed and the sun is beaming down on you. That exact moment is when the mini USB fan can become a music festival hero. Funny Story: I actually broke mine at this year Lolla, when I pulled it out and decided to use it (for the first time), the USB portion of the fan just snapped off and in my mind I could hear violin strings playing to mourn the loss of my mini USB fan. MAN (or in my case FAN) DOWN! 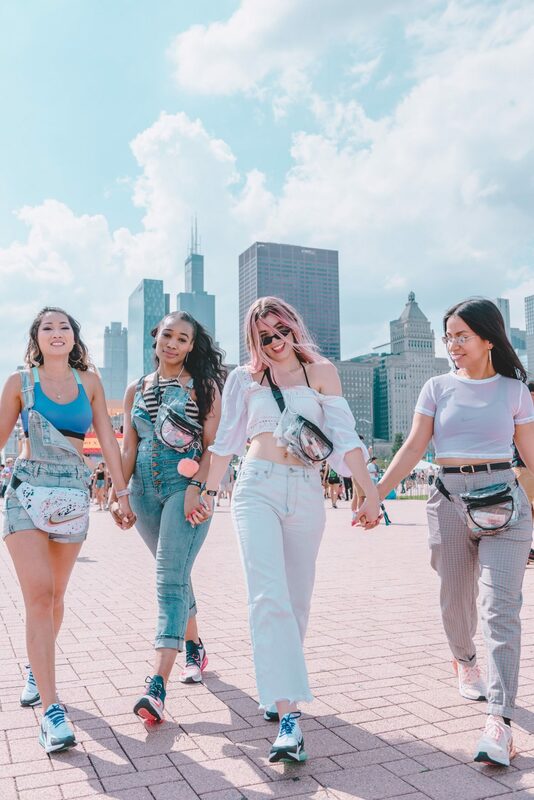 A lot of music festivals have really cracked down as it relates to what is allowed on the premises, because of this I recommend a fanny pack for two reasons their compact size and they are easy to keep up with. Having a fanny pack forces me to keep it light and only carry belongings that I absolutely need for the day. I also find them hard to lose, because they remain so close to your body and I also like that they can be worn a variety of ways. This post was sponsored by Nike Chicago, as always, all opinions are my own. Thank you for supporting the brands that keep this blog up and running! 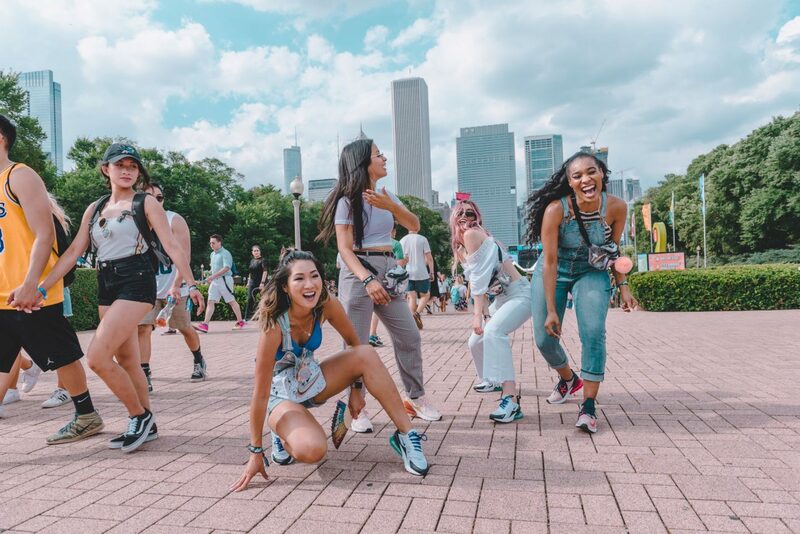 Shop our Go-To Festival Ready Shoe here!